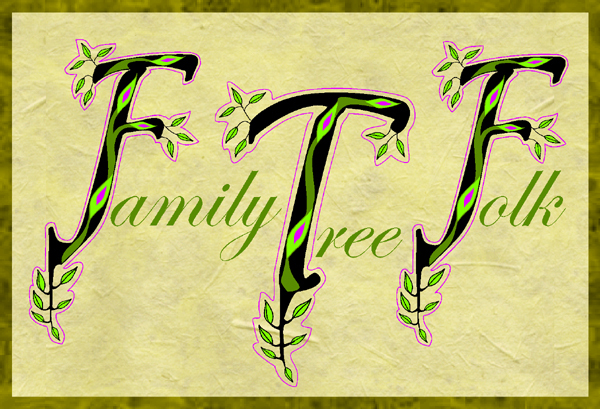 Family Tree Folk offer three Auto Focus Magnifiers with a choice of two Brightfield Domes and a bar ruler magnifier. 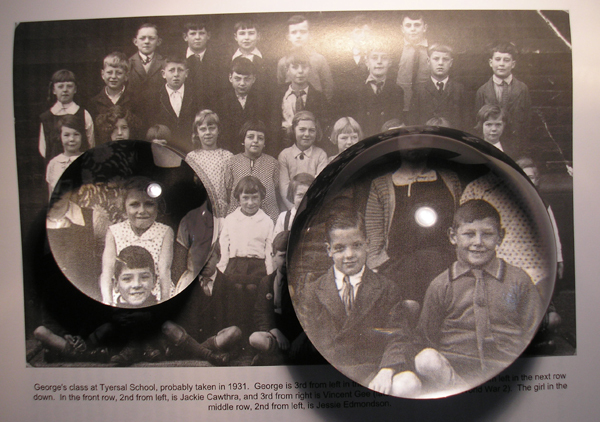 The Brightfield Dome auto focus magnifier gives a magnification of approx. four times actual size. It sits on your document or photograph and draws in natural ambient light, illuminating and magnifying text, images or symbols within your study area. The image you see is clear and undistorted, allowing you to decipher difficult-to-read words and phrases on census documents, wills and parish registers. Ideal for researching old photographs for close ups of people or places. It also doubles as a paperweight and desk accessory. To keep it in perfect condition, each auto focus dome magnifier comes packed in a box with a black velvet drawstring pouch which also doubles as a cleaning cloth. The Ruler auto focus magnifier provides a magnification of twice actual size and draws in natural ambientlight to brighten your image and provide easier viewing. Like the autofocus Brightfield dome magnifier, the autofocus transcribing ruler magnifier sits on your document, enhancing and magnifying one line of text at once. The ruler has a thin red guide line inside the auto focus magnifier, and clear graduations on the ruler edges. 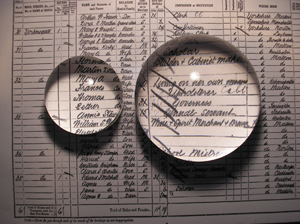 Ideal for transcribers of census returns, parish registers or other family history documents.